If you are in Southern California, we’d be honoured if you joined us. 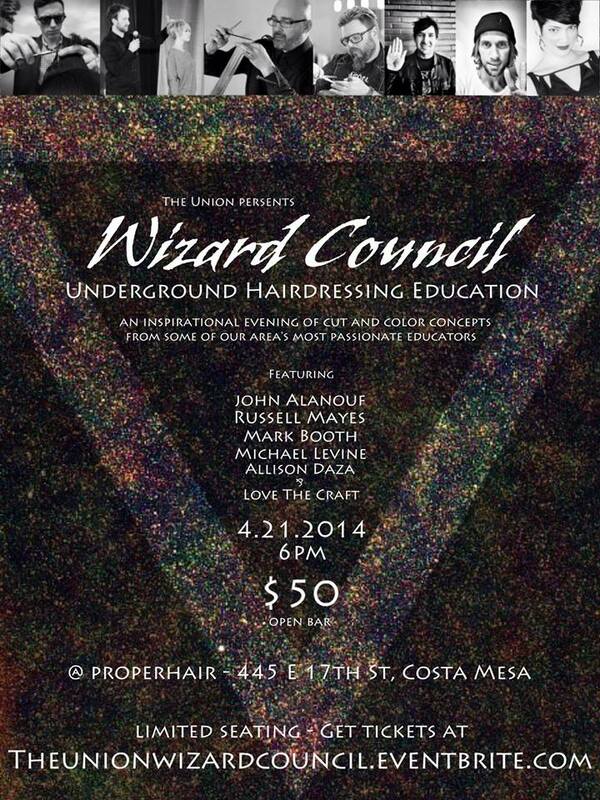 Artistry and Wisdom come together for a night of underground hairdressing education. The Union is Russell Mayes, Mark Booth and John Alanouf. With special guests Michael Levine, Allison Daza and Love the Craft (Daniel Abshereand Justin Kamm). From my point, The best thing about hair is that you can wear it in so many different ways. You can braid it, curl or perm it, tie it into a stylish bun or just let it loose; it looks gorgeous no matter how you keep it.